Unlucky in love. Unluckier in murder. 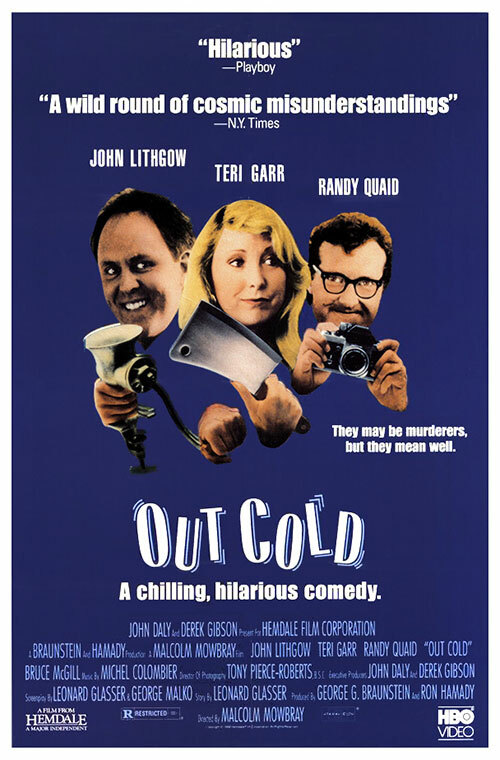 Sunny Cannald (Teri Garr) is a dissatisfied wife who schemes to get rid of her cheating husband one way or another. First, she hires a P.I. (Randy Quaid) to dig up the dirt on him. Then, she discovers a way to put him on ice and frame an innocent man (John Lithgow) for the crime! Can she pull it off? Undoubtedly she might...if not for the determined P.I. who won't stop snooping! 2 Response to "Out Cold (1989) Malcolm Mowbray"
Hi, there's a bluray but I can't find any rip yet.